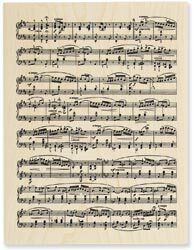 Description: This is a neautiful Florentine Scroll background stamp from The Hero Arts Company. 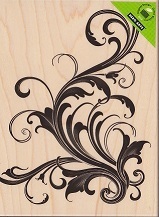 Perfect for stamping or Scrapbooking!! Description: This is the large Hourglass stamp made by Stampington & Company. You can use this as a background or even make shaker cards with it!! I think the possibilities are endless for this stamp. Size: 2 3/4" x 4 5/8"
Description: This is the Small Brick Wall stamp made by Stampington & Company. You can use this as a background or as a waist high wall for cards that open half way. Description: This is the Medium Wrought Iron Grille stamp made by Stampington & Company. You can use this as a background or stamp it twice side by side and then cut down the middle so you can use each side to open like French doors. Size: 2 1/4" x 4 5/8"
Description: This is the Large Arched Window stamp made by Stampington & Company. You can use this as a background or layer on top of something you stamped out that will look out the window. Description: This is the Large Magnifying Glass stamp made by Stampington & Company. You can use this as a background or make it into a great shaker card, or you can use crystal lacquer as the glass!! Size: 2 1/4" x 4 3/8"
Description: This comes from Hero Arts. This nice size Jubilee dots stamp is perfect for backgrounds. Description: Hero Arts makes this background stamp for use with word patterns. It fits well with the Multi Hello and the Multi Thank You stamps. The image itself is 1 2/8" X 1 7/8" and has sort of feathered edges on left and right. Great size background for most projects. 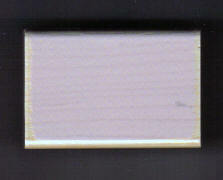 Description: A very large background stamp from Hero Arts. Part of their 'Design Blocks" collection. Ink this design and stamp as a background to create your own scrapbook paper or stamp parts to create intriguing collages. Each design block perfectly covers and entire card. Great for all occasions! 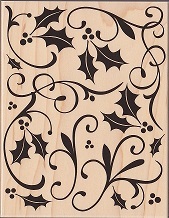 Description: A very large background stamp from Hero Arts Called "Holly Flourish". Part of their 'Design Blocks" collection. Ink this design and stamp as a background to create your own scrapbook paper or stamp parts to create intriguing collages. Each design block perfectly covers and entire card. Great for Christmas or all occasions! 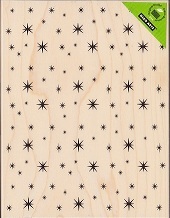 Description: This is a very large background stamp from Hero Arts called "Starry Sky". Part of their 'Design Blocks" collection. Ink this design and stamp as a background to create your own scrapbook paper or stamp parts to create intriguing collages. Each design block perfectly covers and entire card. Great for all occasions! The picture here does not do justice, there is fine detail in the small stars. 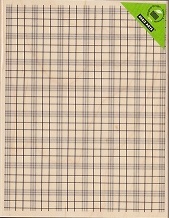 Description: This is a very large background stamp from Hero Arts called "Large Plaid Pattern". Part of their 'Design Blocks" collection. Ink this design and stamp as a background to create your own scrapbook paper or stamp parts to create intriguing collages. Each design block perfectly covers and entire card. Great for all occasions! The picture here does not do justice, there is fine detail in the plaid pattern and all lines extend across the stamp vertically and horizontally.